maintaining your website to keep it fresh.Keeping your website up-to-date will require a certain investment of your time, but the result will be a more user-centered, practical and informative website which encourages users to come back to you for more. These days, website owners are usually well aware that SEO (search engine optimisation) is a major element of increasing website traffic. When ranking websites, Google and other search engines take into account not just the relevancy of your content to a search, but also its freshness and how often your website is updated. It’s not enough to have a great website just sitting there—it needs to appear active, alive and current so that it is noticed and promoted by the various search engines crawling the web. If you want to make the most of internet marketing for growing your business, take a look at our ‘best practices’ tips below and learn from the successes of the most highly-ranking websites. As a business owner, you know best what your customers are interested in, so aim to give them what they want. Answer their questions and deliver the relevant content they are seeking. Create content (whether blog posts, how‑tos, photos or videos) that addresses the need behind the customer’s visit. A critical part of SEO, keywords are what helps your website become discoverable to online searchers. SEO experts can help you work out which keywords your potential customers are entering into search engines, so that you can tailor your keyword usage to plug into the most popular search terms for your products and services. Ain’t nobody got time for websites that take forever to load–most people will tire of waiting and click away. To encourage visitors to remain on your website, you need your pages to load quickly. Stopping websites loading quickly are factors such as busy, cluttered site design and website features that use outdated, slowly loading code. Modernise your website with clean page layouts with plenty of white space, and ensure your add-ons and features keep up with the latest developments. Specific products and services often have their own landing page which forms an important part of your site structure. These pages should be simple and straightforward. What is the one action you want visitors to take once they’ve viewed the landing page? Make sure this desired action is clear, unambiguous and simple to follow. Well-planned internal link structure is not only important for improving your SEO, but will also improve the user experience by providing simple navigation and ease of use. When creating or refreshing content, make the most of every opportunity to direct users to other parts of your site. Getting backlinks from high ranking sites can be a difficult task, but one good link is worth many lower quality ones, so it’s worthwhile reaching out to other websites for a link back. One way to freshen content is to ask others to contribute relevant content for uploading to your website. This may be in the form of blog posts or guest videos from industry experts or other professionals. Having customers contribute testimonial posts can be effective as well. These days, social media has a huge role to play in generating leads and customers for your business. Tap into the new markets by installing social media connection buttons on your website (and make sure you plan content for your social media channels so they, too, are relevant and topical). Having a pop-up registration page is useful too, to encourage visitors to subscribe to your email newsletter or RSS feed. Social sharing buttons will also make it easier for you to take advantage of word-of-mouth referrals as customers find it easy to share your content. Encourage new registrations or sign-ups to your email newsletter with discounts or other special promotions for new users. Return traffic can be helped along with web-only coupons and special offers. Running giveaways can also be a great way to stimulate return traffic. Your website is a work in progress. It should not be regarded as merely a static collection of pieces of archived content and keep working on your social media posts and ensure this is an important strategy going forward. 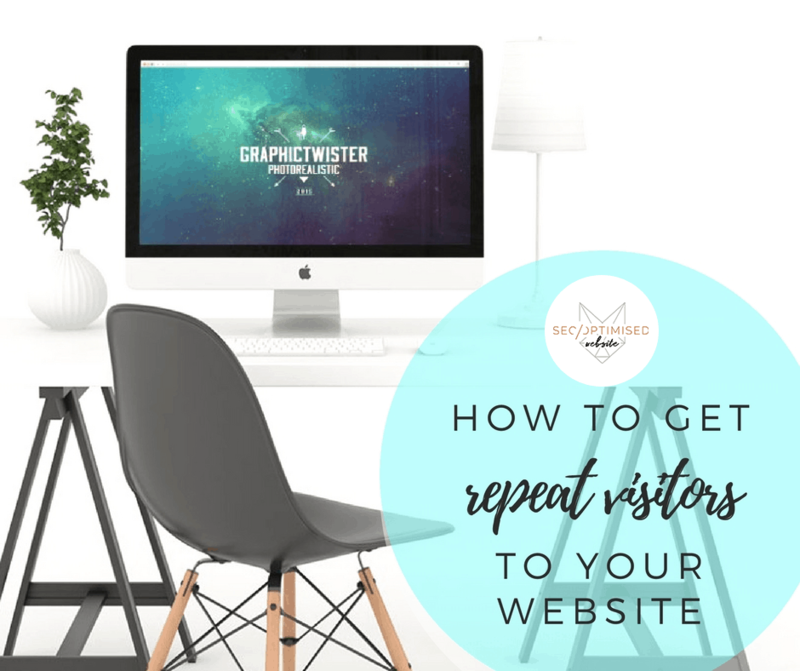 Keep it vibrant and alive by regularly adding new content and updating existing content—your visitors will have a reason to return, which is your website’s ultimate goal.